The word “organic” seems to be one that’s thrown around almost constantly. The news, the grocery store ads, packaging and all the big health spheres are talking about it. You can’t walk two feet into a store without seeing that buzzword in neon letters. We do know that there’s at least some benefits to buying organic, but do you really need to purchase everything organic? 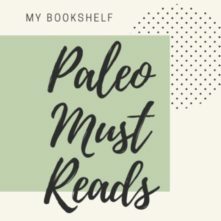 You don’t have to feel pressured by the media or guilted by that chick you follow who *only* feeds her family organic foods. Not everyone can afford it, myself included, and that’s okay. Knowing which organic fruits and veggies to throw in your cart and what produce you can save money on by buying conventional can keep quite a bit of cash in your pocket. It can also help you get more bang (in this case, health) for you buck by buying the produce that actually matters if it’s organic or not. 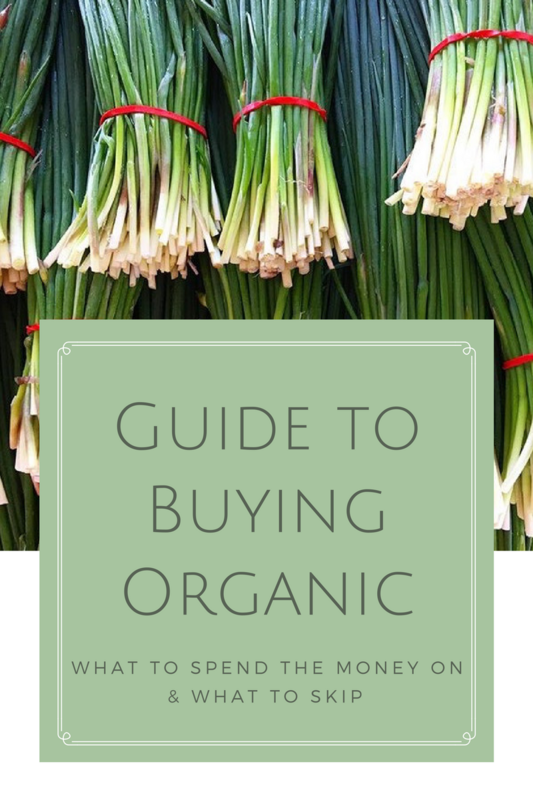 First, I think it’s important to understand that buying organic versus buying conventional doesn’t appear to have an affect on the nutritional value of the food. 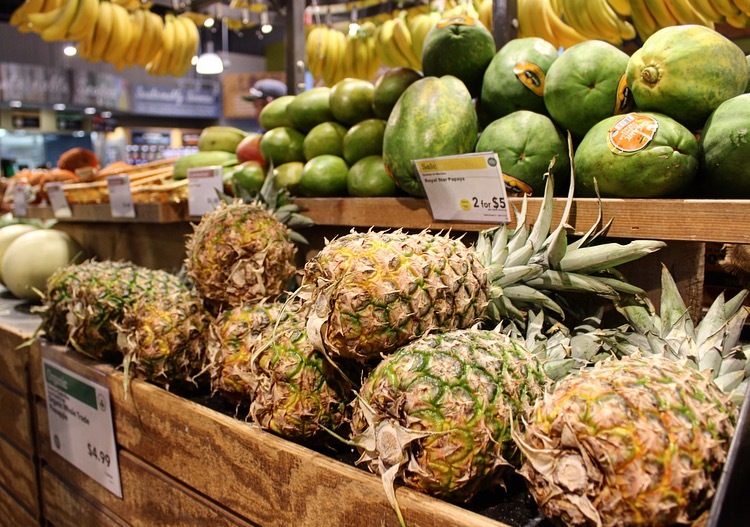 We often correlate organic with health, but that’s not exactly the case. Eating organic produce reduces your exposure to toxic chemicals known as pesticides, but organic produce isn’t nutritionally healthier than conventional. Another thing to keep in mind is that organic farming has become a hugely profitable industry. What was a $3.6 billion dollar industry in 1994 has grown to a $24.4 billion dollar industry as of 2011, when this report was done. Not to get all “anti-establishment” on you, because I do think organic produce is a better option in some cases, but it’s important to think for yourself and do your research when it comes to purchasing organic foods. It’s clear that the organic industry gained so much steam because that’s what the consumer wanted, but it’s come at a steep cost to said consumers. Some organic produce is upwards of twice the cost compared to it’s conventionally grown counterpart, but yet research has shown that organic farming only costs between 5-7% more for the farmer. Meaning there’s a huge profit margin there. And meaning that the marketing of that buzzword does more favors for their bank account than yours. I’m in no way attempting to discredit the farming industry or the hardworking farmers. I’m grateful there’s people out there that are feeding the rest of us and trying their best to do it in sustainable and healthier way. 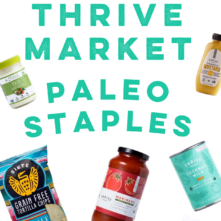 But if you’re like me and just simply can’t purchase all organic, I want to share how to help you make the best choices with the resources you do have! So that being said, knowing what produce should be bought organic and which you can skip spending the money on is important. As a general rule of thumb, if the food has a peel on it that you’re going to remove, buy conventional. Okay, that’s it. End of post. Just kidding. 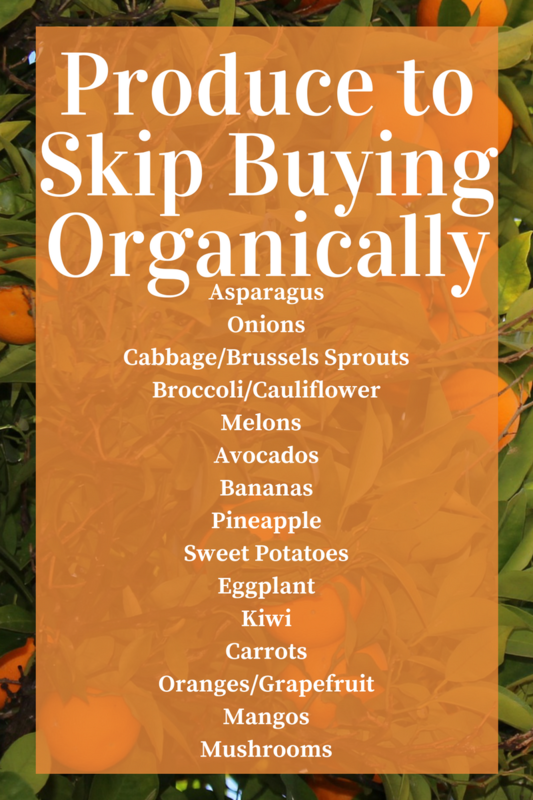 Here’s a more informative list of foods you should and shouldn’t purchase as organic. Some produce has skin or peels that are either impenetrable to pesticides or create an environment that pesticides can’t hang out on. Foods that have thick peels make it so the flesh of the produce can’t absorb the toxic chemicals. Each year, numerous studies are done testing produce to find out the amounts of pesticides and toxic residues found on the food we eat. One of the most popular and trusted study is from the Environmental Working Group, which tests 48 common fruits and vegetables and comes out with a list of the cleanest and dirtiest produce. The list of the “Dirty Dozen” can be found here, and the list for the “Clean 15” can be found here. Leafy greens such as romaine, spinach and collard greens should be purchased organically grown. These veggies have lots of surface area for toxins to stick to and are heavily sprayed during their growing season because they’re more susceptible to pests. All berry types, including blueberries, strawberries and raspberries, have thin outer layers and are found to have high amounts of pesticides. Because we eat the whole fruit without removing the skin, these should be bought organic when possible. Apples and white potatoes also are found to be sprayed with a lot of pesticides during growing season. If you peel these two before eating, buy conventional. But if not, splurge for the organically grown option. Asparagus, onions and cabbage don’t require much spraying of pesticides to grow, so they rank low on the list of toxins found on produce. Most people also peel off the first layer or so of cabbage leaves and onions, reducing the risk of exposure to pesticides even more. Like asparagus and cabbage, broccoli and cauliflower crops don’t pose much threat for pest infestations, so they’re sprayed with less pesticides. Melons, including honey dew, cantaloupe and watermelon, have a thick rind which protects the flesh of the fruit from being affected. Avocados, bananas, pineapple and eggplant also have thick skins which are generally removed before consuming. 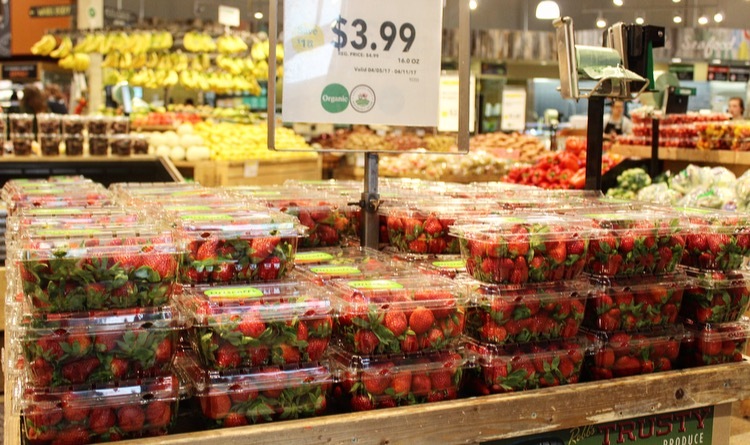 These foods can be purchased conventionally without concern for pesticide exposure. Remember to look for the sales, too. 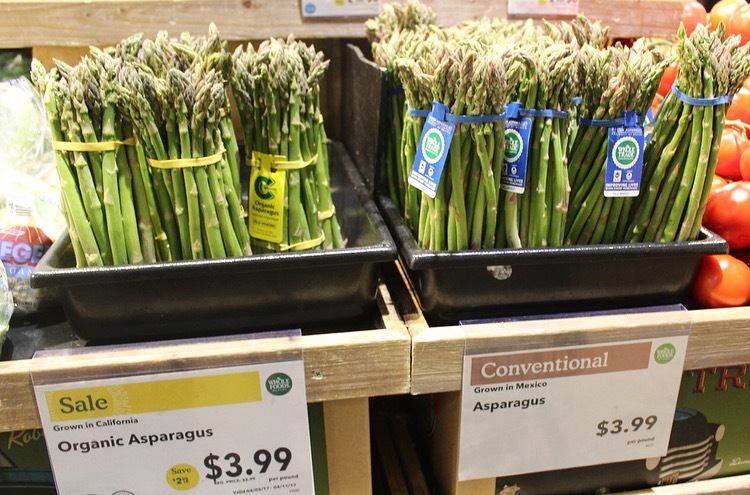 Sometimes, you can find organically grown produce at the same cost as conventional when there’s a good sale. If the two products are the same price, I’ll opt for the organic if it’s not going to cost me more. 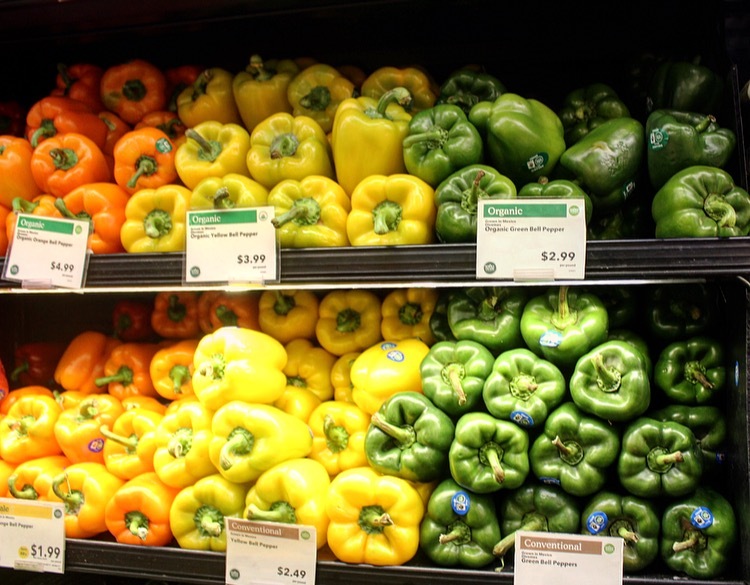 When buying produce, before you chose organic or conventional, think about what you’ll be using it for. If you’re going to be peeling the cucumber before you add it to a salad, you can probably safely go with conventionally grown. If you’re making mashed potatoes using white potatoes with their peels on, perhaps purchase organically. 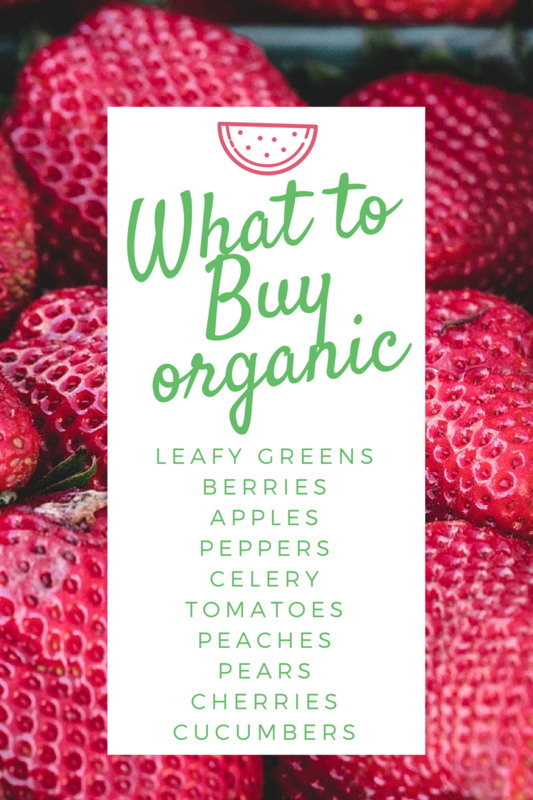 By buying conventionally grown produce where able to instead of always opting for organic even when it’s not necessary, you’ll save yourself quite a bit of money – without sacrificing any added exposure to potentially harmful pesticides. Thank you!! This is VERY helpful! 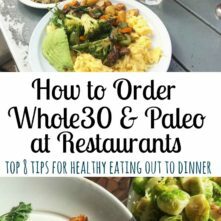 I am starting my 2nd Whole 30 next week and on a tight budget, so I really appreciate the info! !